All whilst forgetting that the same pollsters and pundits got last years general election very badly wrong! 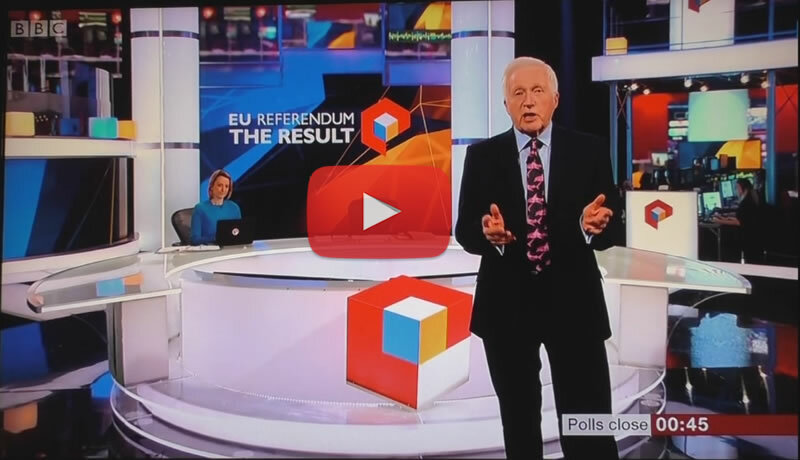 And even worse for the EU referendum where we saw pollster Curtis on BBC Results Night proclaiming AFTER the polls closed that REMAIN had won! For which he was apparently awarded a Knighthood! So that brings us to this years Labour landslide local elections. Firstly, it is beyond the capability of the Market Oracle to traipse around the country trying to figure out what is going on at the local level across Britain's 50 largest cities. Nevertheless, we have been able to intensely follow what is happening in Britain's fifth largest city, Sheffield. Which contrary to the propaganda being regurgitated at length across the mainstream media, an analysis of which points to an outcome in the exact opposite direction i.e. implying LABOUR is likely to LOSE seats rather than GAIN seats! Which if similar applies to most other areas of Britain then the pollsters, political pundits and pseudo analysts (journalists) are about to get another election very badly wrong. As things stand at the time of writing Labour have gained just 47, and the Tories confounding expectations for a blood bath are up 8, holding on to all of those supposed Labour London gains! Whilst the Lib Dems only gain 35. However the big story of the night was the wipe out of UKIP, losing 106 seats so far (again as I forecast long before the election result). Furthermore the repeated spin on the lack of support for the tree fellings from the Labour council and contractor Amey was that the protestors were few in number, which I warned an Amey Press officer 6 months ago numbered more than 10,000 protestors which was more than enough to effect the outcome of the May 2018 local elections. When does Amey intend on ceasing to use private security on Sheffield's streets which is having the effect of galavanising support for the save tree campaigns from many people who otherwise would not be interested in the tree fellings. The answer to the first part of your question is, as long as it is necessary to keep people safe and prevent them breaking the injunction by entering our legally-defined safety zones. We would rather not have to employ stewards at all, but we have tried explaining this to the individuals who persist in doing it to no avail. This is a very reluctant step, but one we feel we have no choice taking and in which we are supported by the Council. As for the second part of the your question, we are replacing the trees not just felling them. This is an important point. I cannot agree to your assertion that it is galvanising support as I don’t know how you have measured this. In fact, many people are telling us they welcome the fact that the work is getting under way. Galvanising support, - Their main face book page STAG now has over 8000 members, and growing at the rate of about 50 per day with about anothert 6000 across the satellight groups. So whether you like to hear it or not your actions on the streets HAS galvanised support. The growing size of the movement is more than enough to influence the outcome of the May 2018 local elections. 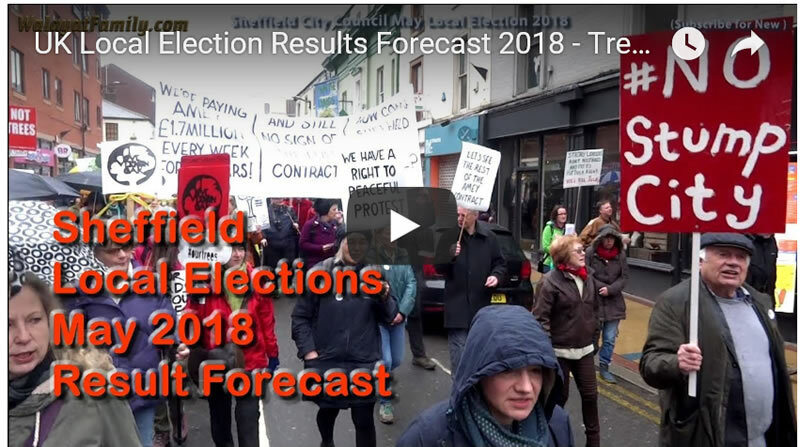 And so on Thursday Sheffield Labour paid the electoral price of ignoring the wishes of the Sheffield people, which if it continues to do so will undoubtedly act as a stepping stone to further losses at the May 2019 local elections. And given that the Amey PFI contract has some 19 years left to run then there is plenty of scope for Labour to lose overall control of the Council within a few short election steps. And here's a reminder of why you should take what the mainstream press is reporting, political pundits and pollsters with a big pinch of salt. Considering just how bad they have been in terms of forecasting the outcome of recent elections, such as last years general election that followed getting Trump wrong, Brexit and even the 2015 general election, with the 2014 Scottish Referendum before that! Five elections WRONG in a ROW! The bottom line is that the pollsters and pundits (journalists) remain clueless because they have no "skin in the game" i.e. 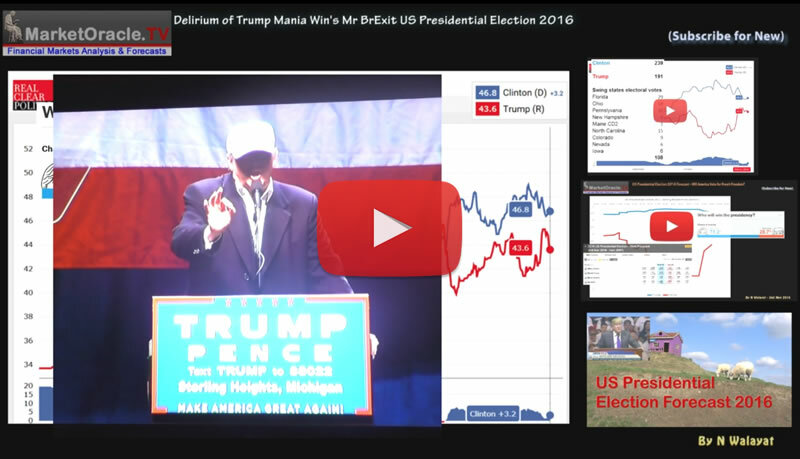 they don't tend to put their money where their mouths are, unlike well a market trader / investor where the primary purpose of my analysis is to come to the most probable outcome for a market or political event so that I and my readers / viewers can capitalise upon it as I did for Trump and the EU referendum before that. So ensure you are subscribed to my always free newsletter and youtube channel for my forthcoming in-depth analysis and detailed trend forecasts.